Health problems related to the environment continue to be a major source of concern all over the world. Society needs to develop measures that will eliminate or considerably reduce hazardous factors from the environment that can result in health risk to humans. 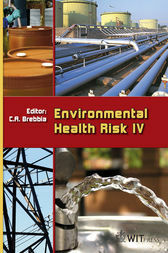 This interaction between environmental risk and health is usually complex and involves a substantial number of factors. This resulted in an interdisciplinary meeting in which diverse aspects of the impact of environmental factors in health were discussed.This book contains most of the papers presented at the Fourth International Conference on The Impact of Environmental Factors on Health (Environmental Health Risk 07). The Conference aimed to foster the development of better experimental and modelling tools to achieve the objective of decreasing environmental health risks to humans.